How much does it cost to travel to Antigua and Barbuda? How much money will you need in Antigua and Barbuda? 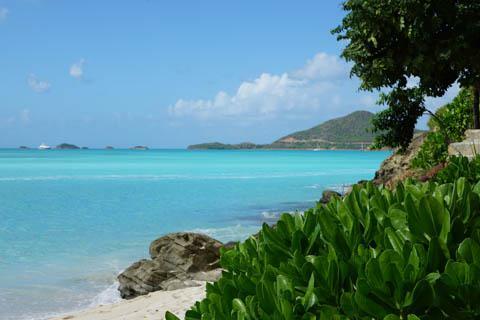 EC$762 ($282) is the average daily price for traveling in Antigua and Barbuda. The average price of food for one day is EC$179 ($66). The average price of a hotel for a couple is EC$972 ($360). Additional pricing is in the table below. These average travel prices have been collected from other travelers to help you plan your own travel budget. How expensive is Antigua and Barbuda? How much money do I need for Antigua and Barbuda? Antigua and Barbuda are the two main islands that form one country, which is located between the Caribbean Sea and the North Atlantic Ocean off the coast of South America. There are very few natural resources available on the islands so tourism, along with investment banking and financial services, are the dominant parts of the economy. The islands have beautiful white sand beaches, making this country a quintessential Caribbean destination. Antigua is the larger and more popular island for tourists. There are many high-end resorts to accommodate those who flock to the island for a bit of luxurious relaxation. Barbuda also has beautiful beaches but the infrastructure for tourism is much more limited. The beaches are often deserted and the wildlife is impressive. Specifically, on the northwestern part of the island there is a large but shallow lagoon. Along its border is a beach that runs for miles. In this lagoon you'll find the frigate bird colony. The eastern side of the island has narrower beaches but some beautiful cliffs. The country's climate is tropical marine and there is little seasonal temperature variation. Hurricanes and tropical storms are not uncommon between the months of July and October. Most visitors get around the island with a taxi or tour operator. If you're on a tight budget there is a decent bus service, but it can be slow and eat away at your time. It also has limited access and does not travel to many of the island's nicest locations. If you're going to be on Antigua for at least a week, you can usually get a good rate for a rental car, and this is recommended. On Sunday evenings there's a festive party hosted at Shirley Heights Lookout. Local bands play Antiguan music and you can see a brilliant sunset over English Harbour. If you want to eat barbecue you need to get there by 7 pm. To see the sunset you should come even earlier. Once the sun goes down the party quiets down. Antigua offers some absolutely amazing scuba diving as there are many reefs off the eastern coastline. The water is clear and snorkeling is also an option. The best snorkeling and dive sites are reached by boat, so it's best to arrange trips through a dive shop. They know the best sites and you will get to see the more impressive reefs with the greatest diversity of marine life. The best shopping options are found in the city of St. Johns on Antigua. There are a variety of merchants who sell most things you could need on the island. If you're looking for duty-free shopping then head to Heritage Quay, near the cruise ship piers. You have to have your airline tickets or cruise ship ID card to qualify for the duty-free purchases. Here you can pick up everything from jewelry to liquor or tobacco. There are plenty of local drinks made from local produce. This includes pineapple, guava, mauby, seamoss, passion fruit and hibiscus. Local alcoholic drinks include Wadadli and English Harbour rum. Carib Beer is regional to the area. Rum is the most popular alcohol available and is often served as "rum punch". International drinks are available as well. Shirley Heights: This area of military buildings offers stunning views over the English Harbor. Sea View Farm Village: The best place to check out traditional Antigua Pottery. Harmony Hall Art Gallery: This gallery has constantly changing exhibits and is a great place to explore the Antigua art scene. Fungie: Similar to polenta, this is the national dish and comprised mostly of cornmeal. Ducana: A sweet potato dumpling dish. Antigua is unquestionably one off. The bigger half of Antigua and Barbuda, this exquisite isle offers a stretched queue of 365 classy and sun-drenched beaches, a complete bundle of enticers for a whole year. It’s probably not the place if you are looking to step in a hugely modern, historical or adventurous place, but if empty beaches, unlimited sun, soothing sand and complete peace of mind are on your mind, this is time to book Antigua holiday packages.